You will earn 3,225 Reward Points. Earn 1 reward point for every 1 dollar spent. 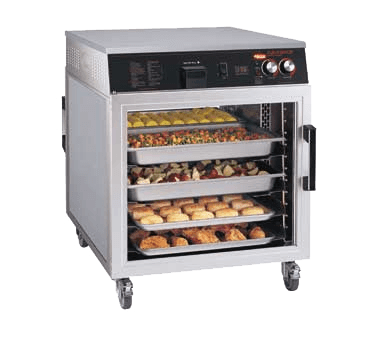 The Hatco Flav-R-Savor® Portable Holding Cabinet is capable of holding all types of hot foods at optimum serving temperatures. Thermostatically-controlled heat and humidity allow you to prepare food in advance of peak periods and hold it for hours. Perfect for schools, hospitals, concessions and cafeterias where backup food storage is needed.